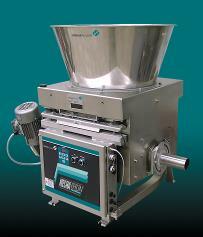 conveying systems for abrasive or friable products. We can help you select the best system based on your specific application requirements and product characteristics. 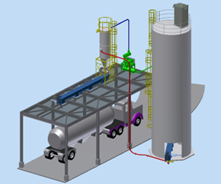 Contact Airdusco to design your industrial dust collection system to help you provide a clean and safe industrial workplace. We have varied solutions depending on your product and application. 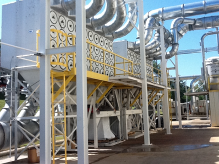 The technologies we offer include: baghouse collectors, pulse jet collectors, cartridge dust collectors and high efficiency cyclones. From the fan to the ductwork to the collector we can assist you. As representatives of Schenck Process and MAC Equipment, Heumann Environmental, Twin City Fans and Nordfab ducting, we can supply all of your dust collection needs. Accurate, repeatable and reliable metering and feeding of dry materials is critical to many manufacturing processes. We can help you select the best volumetric feeder, gravimetric (loss-in-weight) feeder or weigh belt feeder solution to meet these stringent requirements. Equally important to a successful feeder system is the proper implementation of the feeder control system. As representatives of Schenck Process and AccuRate feeders, we can assist you in all phases of this process.